Mosmatic presents a new member of the Contractor family. 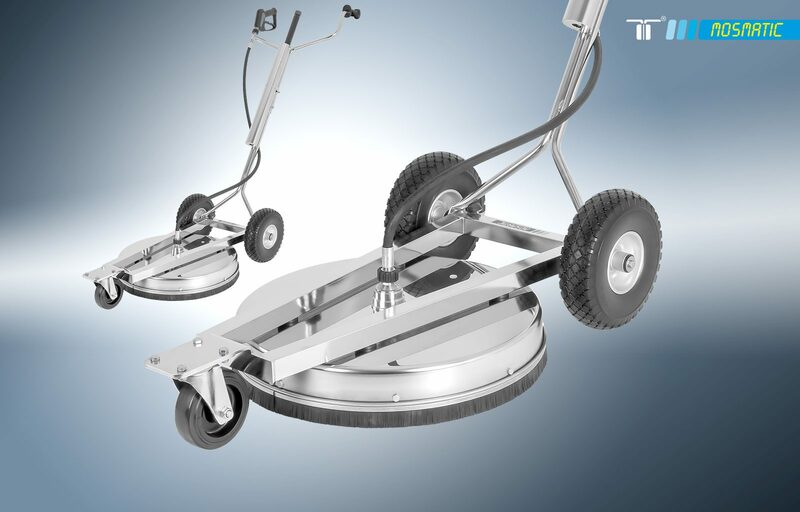 The surface cleaner Contractor „Big“ was named after its big pneumatic rear wheels (ø255mm). In combination with the smaller quality castor (ø125mm) in the front the solid-built surface cleaner stays easy to manoeuvre and guarantees ergonomic working. Thanks to this new design grid floors and other rough surfaces can be easily overcome. The attached lance completes this model allowing you to quickly clean corners and rinse down surfaces.